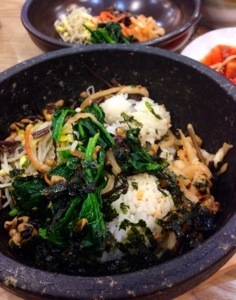 Sundubu soup and fresh fermented soy bean bibimbap. 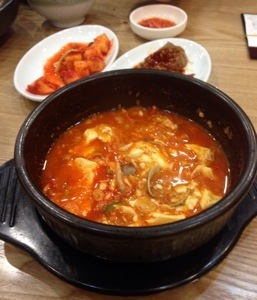 This entry was posted in Food and tagged food, 생청국 돌솥비빔밥, 숭두부 by easykorean. Bookmark the permalink.